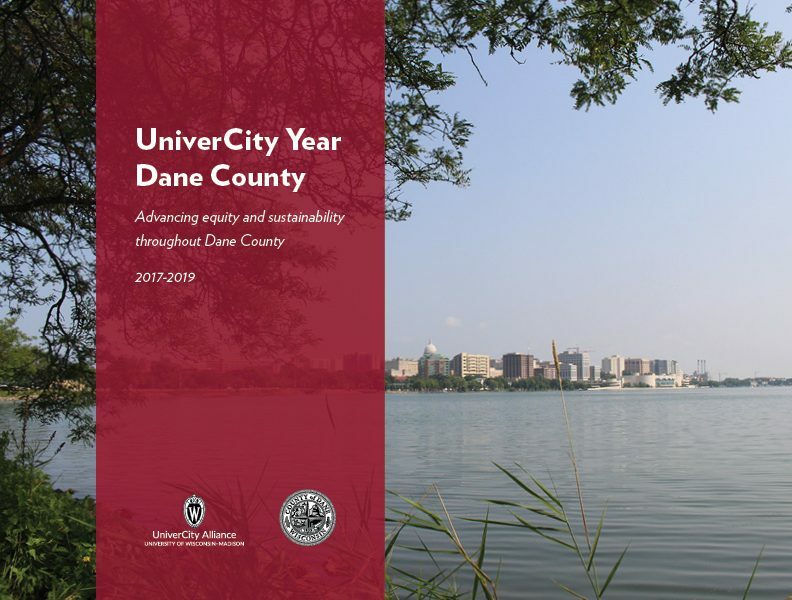 During 2017-2019, UniverCity Year partnered with the Dane County Board of Supervisors (the county's legislative and policy-making body) to advance equity and sustainability throughout Dane County. 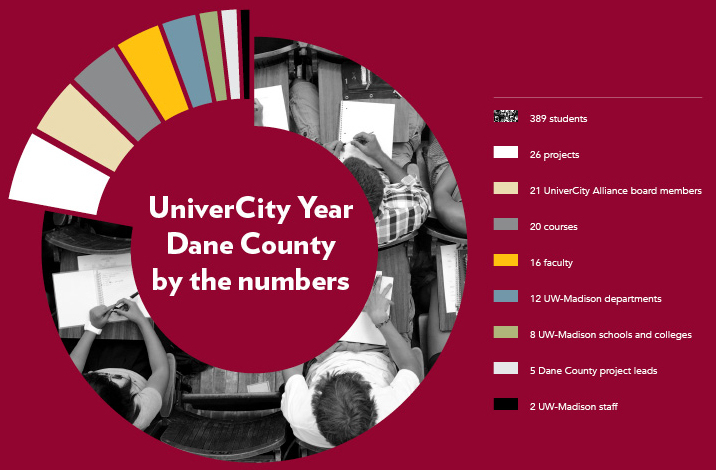 UCY Dane County reached nearly every corner of the UW-Madison campus. 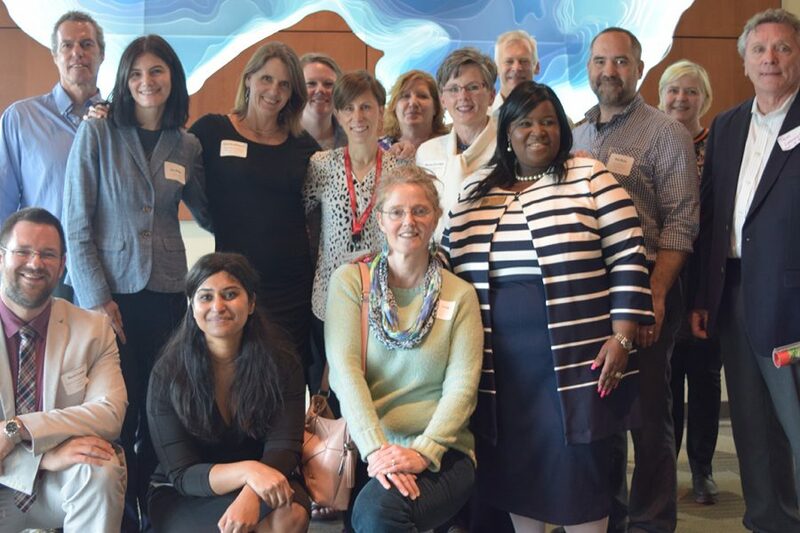 We are grateful for the Dane County supervisors and staff members who shared their expertise with UW-Madison staff, faculty and students. Thank you to the UW-Madison professors who made space for UniverCity Year projects in their courses. For detailed information on project goals, research methods, findings and recommendations, download students’ final reports below. Students analyzed 95 parcels throughout Dane County, assessing the feasibility of future workforce housing developments at these sites. Students considered risks, determined funding options, and designed structures to address the county’s most urgent housing needs. Students also recommended energy efficient and sustainable materials to use when constructing workforce housing developments. Finally, they investigated the merits of the cooperative housing model to encourage resident engagement, promote sustainable growth and increase the longevity of the property. 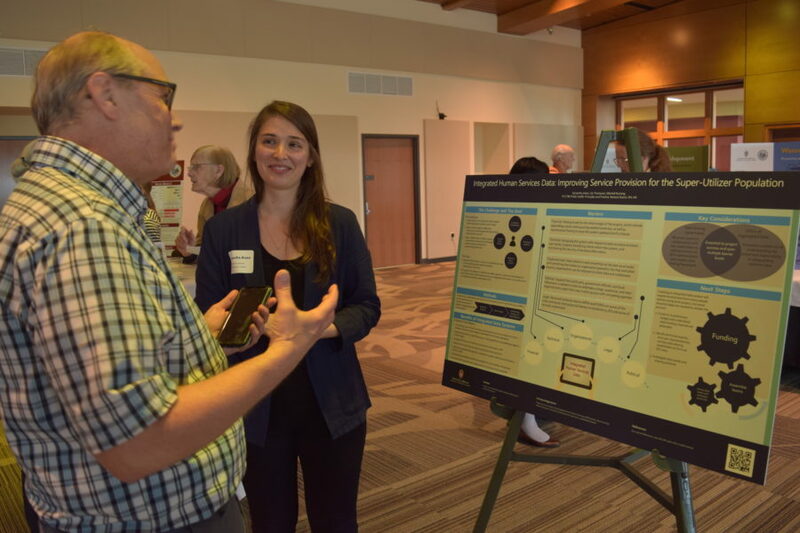 Students researched case studies of local and national organizations using cooperative business models to reduce food insecurity and increase access to affordable childcare. They also developed communication campaigns to increase participation in community supported agriculture farms among low-income families and to encourage use of the microenterprise business loan program. Finally, students investigated options for using the grounds of the Alliant Energy Center for pop-up shops. A number of people repeatedly cycle through jails, mental health facilities and social services. Students recommended processes to more effectively serve frequent users of county services, including integrating data and systems across multiple agencies. Students also analyzed usage data to tell stories about the work of county service providers. Students identified agricultural practices that protect and improve the quality of the county’s waterways. They also investigated the anaerobic digestion process of converting manure into biogas and fertilizer. They designed watershed conservation plans for Door and Dorn Creek and studied how riparian buffers can minimize the impact of runoff. Finally, students conducted user experience design analyses of nutrient-management-planning software.